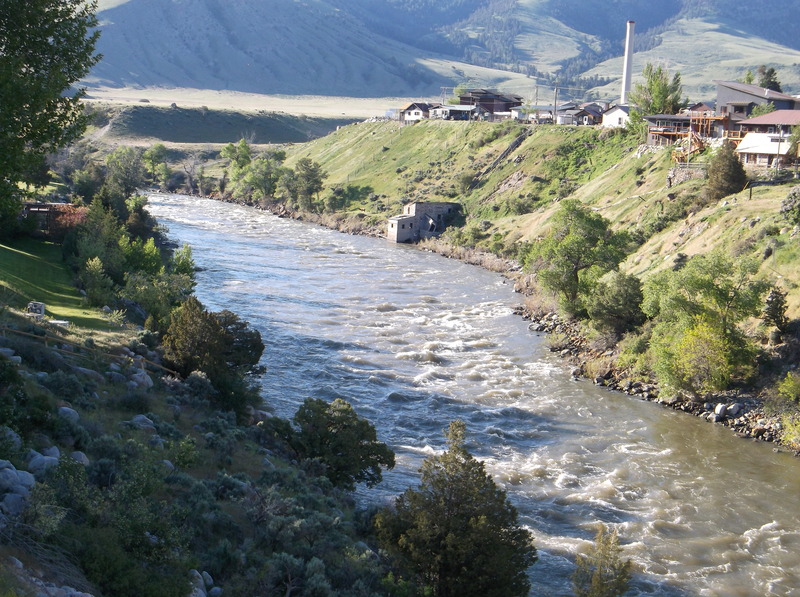 Dave Holland said, “Go ahead and fish in the (Yellowstone) River”. Fishing permit lacking. His parcel abutted the old Gardiner / Mammoth pump house, he owned the pump house, and the pump house deed ran to the middle of the river. Fish & Game could pound sand, he declared. Sounds like he was looking for a showdown. Which never happened. Dave is hooking another worm with Curt. Time moves forward. Again I find myself along the 45th Parallel, at Mammoth Hot Springs campground. Better equipped, this time. Spoiled, even. 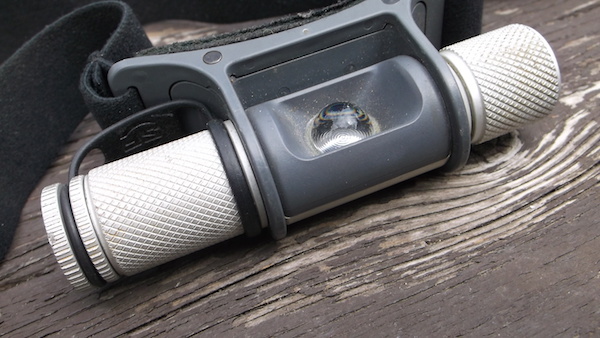 Spoiled with the best headlamp in the world, the Surefire variable output LED. Guaranteed forever, practically indestructible. With a bulb life of several generations, this fine bit of engineering and craftsmanship has never failed. Elk give me more room. Coyotes run from Man With Third Eye Glowing. A vintage copy of Dostoyevsky can be enjoyed long after ‘quiet time’ is enacted. 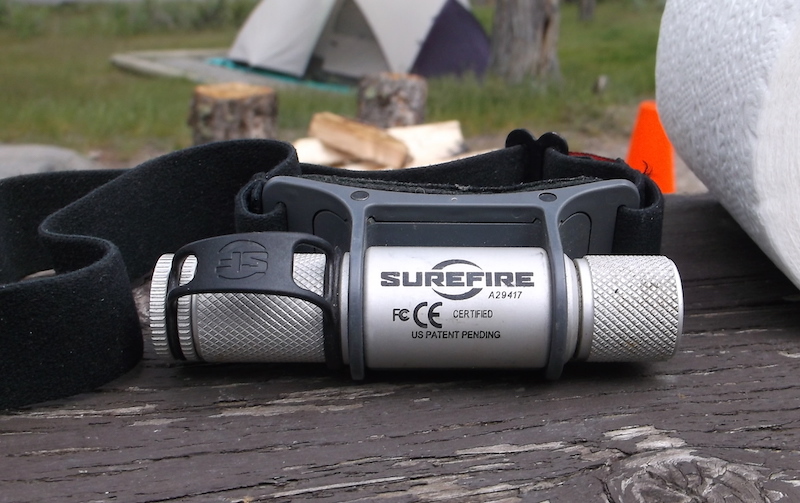 A spattering of rain, wind in the trees, the distant Gardner River, and my reliable Surefire. This entry was posted in Product Review and tagged dave-holland-superintendent-of-plumbing-yellowstone, mammoth hot springs campground, peter burr folks. “I worked for Dave when he was foreman of the (Yellowstone N.P.) plumbing shop, from 1982 till 1989. He started with no backhoe operator and had four operators 3 years later. Dave was a go-getter.